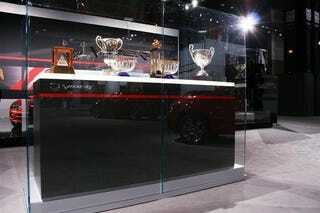 Normally, when a car company puts a trophy case on the show floor it serves to display their product's latest accolades and accomplishments. This Viper trophy case is half-full of awards from the late 90's. Chrysler: the Cubs of automakers.